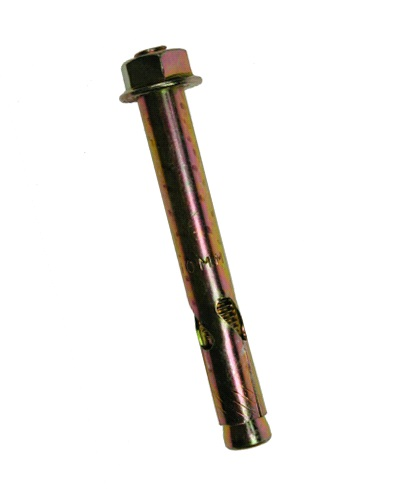 Sleeve Anchors are a through fixing with an elongated expansion sleeve, making them suitable for use in brickwork as well as concrete. Available in sizes M8 x 65mm up to M16 x 110mm. The sizes given indicate the sleeves diameter and length. Minimum hole depth of 40mm. Maximum fixing thickness of 30mm. Minimum hole depth of 45mm. Maximum fixing thickness of 8mm. Minimum hole depth of 45mm. Maximum fixing thickness of 35mm. Minimum hole depth of 45mm. Maximum fixing thickness of 60mm. Minimum hole depth of 50mm. Maximum fixing thickness of 10mm. Minimum hole depth of 60mm. Maximum fixing thickness of 22mm. Minimum hole depth of 60mm. Maximum fixing thickness of 45mm. Minimum hole depth of 60mm. Maximum fixing thickness of 70mm. Minimum hole depth of 65mm. Maximum fixing thickness of 49mm.